When the time comes that you need to locate a Long Beach roofing contractor, will you know who to call on? Don't feel bad the average homeowner doesn't take the time to familiarize themselves with a roofing pro. They wait until emergency repair needs pop up and then try to distinguish which company would be best for them. Being prepared means not making mistakes or bad judgment calls. 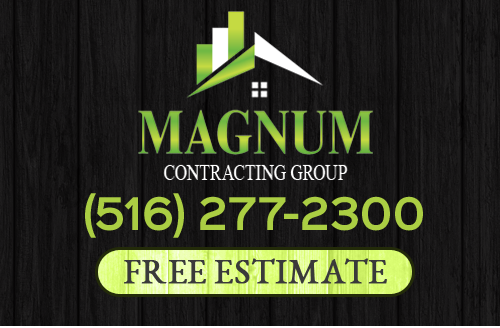 It also means knowing that Magnum Contracting Group would be the perfect company to trust in, for your roofing service needs. We take this field of work seriously and that is clear from the customer satisfaction rating we have. Now, we look forward to working with you and providing you with the service that you need. Your roof is as important to your home as the foundation and walls, if not more so. This is because it is your rooftop that protects the rest of the structure, including the people and possessions inside. Give us a call today in order to find out more about what we can do for you. What many people do not realize is that there are a number of reasons your roof may end up needing repairs, some of which are preventable. While trees make a great addition to your landscaping, they have to be kept in check. Trimming and pruning will avoid overhang and overgrowth. The threat trees pose is tearing at the singles or falling when one breaks. Lack of roof maintenance is another issue, and one that can be avoided. Make it a point to get service and regular inspections, in order to prevent unnecessary repair needs. Shoddy installation is something you don't want to deal with and could be easily avoided. Make it a point to only work with a reputable industry expert, in order to get the best in installation services. Unfortunately, getting inferior repairs done is just as bad as having improper installation in the first place. You hire someone and think they did okay work, only to find out your repair work needs repair work. The bottom line is that you need repairs taken care of in a timely manner, and handled by established experts. Magnum Contracting Group, your Long Beach roofer, is the local leading service provider for roof replacements, as well. You can expect long term success with a roofing system that we install or replace for you. So give us a call today in order to get started on whatever roofing project you have a need for. If you are looking for a professional Long Beach roofing contractor then please call 516-277-2300 or complete our online request form.